Home / Magazine / Blog / How can document scanning support your business in becoming GDPR compliant? As highlighted in our introduction to GDPR blog, changes to the Data Protection Act came into force in May 2018 with the implementation of the General Data Protection Regulation (GDPR). In our latest blog, we’re sharing insight on how document scanning should play a pivotal role in your organisations journey to becoming GDPR compliant. With the focus of GDPR primarily focusing on how data is digitally stored and secured, consideration around how an organisation takes care of its paper-based records is often overlooked. Many organisations have paper-based documents around the office such as files, records and even old notebooks, staff might even take documentation off site – all of which present potential GDPR data breaches. By identifying potential data risks, especially around printed data, you can ensure your organisation is on the way to becoming GDPR compliant and reduce the risk of potential fines from the Information Commissioners Office (ICO). Under GDPR, individuals will have the ability to request detail from organisations on what information they hold about them, and in some cases, request erasure of that data. With digital documentation you can relatively quickly and easily retrieve information you hold on an individual, as once a file is in PDF format, you can then utilise OCR (Optical Character Recognition) technology to read the contents which speeds up the process to find the information you need. With paper-based records that task becomes a little more difficult and more specifically, time-consuming. You might store documents across numerous locations such as filing cabinets, storage rooms, or maybe offsite. 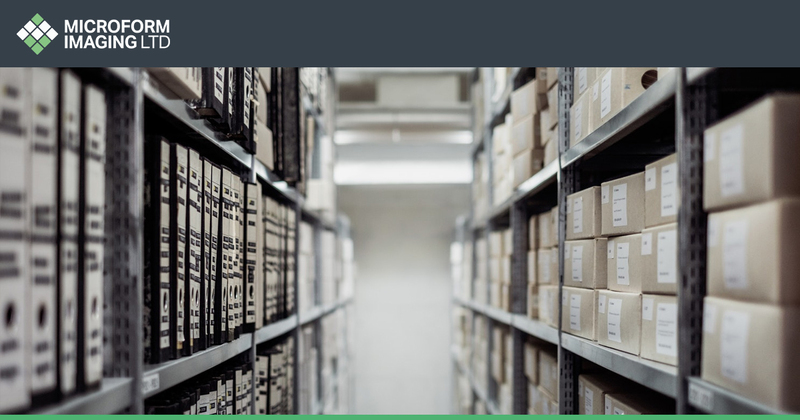 Sifting through to find the information required, especially if stored across multiple locations, will take considerably more time than searching through digital records, impacting significantly on the productivity and profitability of your organisation. How many copies of your documents exist? We’re all guilty of pressing print when we can’t easily locate a file that has previously been printed out, which means we very rarely have just the one document in one location. Alongside this, we may want to share duplicate copies of that document meaning we have very little control over what another individual might do with that document and how and where it might be stored or even how it is disposed of. Lack of control over paper-based documentation can expose your organisation to a variety of data breaches – something which can be very costly. The primary reason GDPR is coming into effect is to protect an individual’s privacy. There are many times, as individuals, we wonder how an organisation has managed to obtain our information or how we might have potentially become victims of fraud or identity theft. Leaving documentation laying around the office or having unsecured storage facilities such as unlocked filing cabinets could leave documentation exposed to individuals who shouldn’t be able to access it. Even staff taking documentation off-site and leaving on public transport or theft from their vehicles are all forms of a data breach. While adopting a paperless strategy has been something offices have tried, and in many cases failed, to adopt, now really is the time to adopt an effective paperless strategy and ensure it is enforced throughout the organisation. With digital documents, it is much easier for an organisation to retain its documents and control who has access to them. By undertaking paper-based document scanning and storing those documents securely in a digital environment, an organisation can minimise the consequences a potential impact a data breach could have. While digitising documents doesn’t, on its own, ensure you are 100% GDPR compliant, it does go quite a way to mitigating the potential risks an organisation could face. We’ve already discussed how having paper-based records can impact on an organisations bottom line once GDPR comes into effect and how the cost of document scanning will, in the long term, far outweigh the cost of individuals requesting right to access and erase data, possible investigation by the Information Commissioners Office (ICO) and potentially a fine. To discuss how Microform Imaging can support you adopt a paperless strategy within your business and help you on your journey to becoming GDPR compliant, contact us today.